Hello! My name is Hoi, and I am a product designer in the San Francisco Bay Area. As an early employee at Orbit Baby, a consumer product start-up that grew to become one of the most coveted brands in the children industry, I've worn many hats across the marketing and product development disciplines during my 7 years with the company. I've used my design background and user-centered problem solving skills to develop marketing strategies and build a brand that truly resonates with and meets the needs of consumers. Below are some samples of my professional work. The Double Helix was Orbit Baby's most anticipated product in recent years, and the marketing team developed and executed on a comprehensive go-to-market launch campaign for the product. 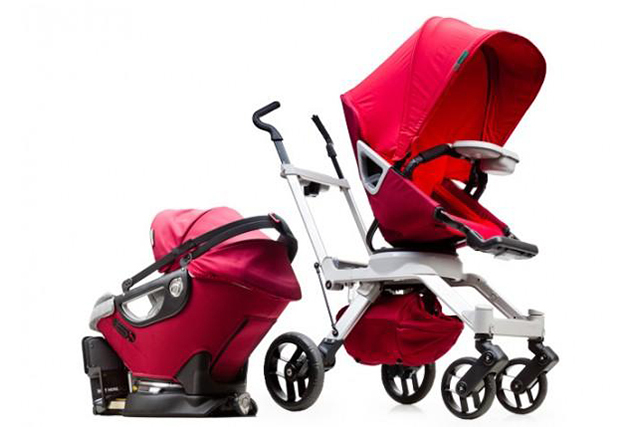 Orbit Baby made significant updates to their core products, and a second generation product line - the “G2” - was born. It was an opportunity to both redefine the brand and to expand into new international markets. Inspired by luxury car interiors, Orbit Baby's color palette had initially taken on a more neutral tone. In the spring of 2011, we saw an opportunity to relaunch the brand by bringing in colorful pops of color to the Stroller G2. The marketing team at Orbit Baby was responsible for the user experience and visual design of the company's outward facing websites, including a complete CMS website redesign and an e-commerce site that was a first for the baby gear industry. Orbit Baby's printed collateral were designed by in-house designers on the marketing team. We were responsible for creating an array of printed materials, including packaging, point of sales programs, product catalogs, training documents, promotional materials, and signage.